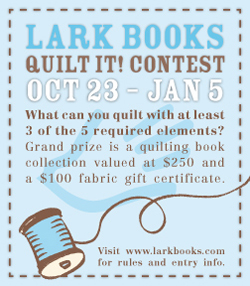 Lark Books is sponsoring their Quilt It! Contest that runs until January 5, 2010. The Quilt It! 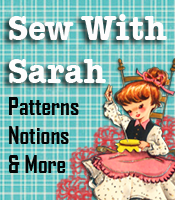 contest was created to “encourage, inspire, and engage” quilters everywhere, and to celebrate some favorite quilting books. Enter to win before January 5, 2010 by emailing at least one photo of your quilt, along with the title of the piece and the quilt category you’d like to enter, to quiltit@larkbooks.com. Check out the official rules and visit Lark Books for more information.